The path of a life is built through encounters and key moments. Those who you retain, who you choose, who founds a family. Often by a fair matchmaker, who, at the right time, in the right place, with the right people, creates the unforgettable. This is what Champagne Prévost-Hannoteaux is : L'entremetteur. Our history is made up with founding steps for our Champagne. One of them took place in 1941 when Mr. Albert Prévost met Miss Madeleine Hannoteaux at a wedding, such a symbol! They got married in 1945 and gave their two names to their Champagne. The second symbolic meeting is contemporary: it is ours, which continues the history of our family House. Available in bottle, half-bottle, magnum and jeroboam. It is within the village of Sacy that the House comes to life and that Catherine and David lead their events as match-makers. 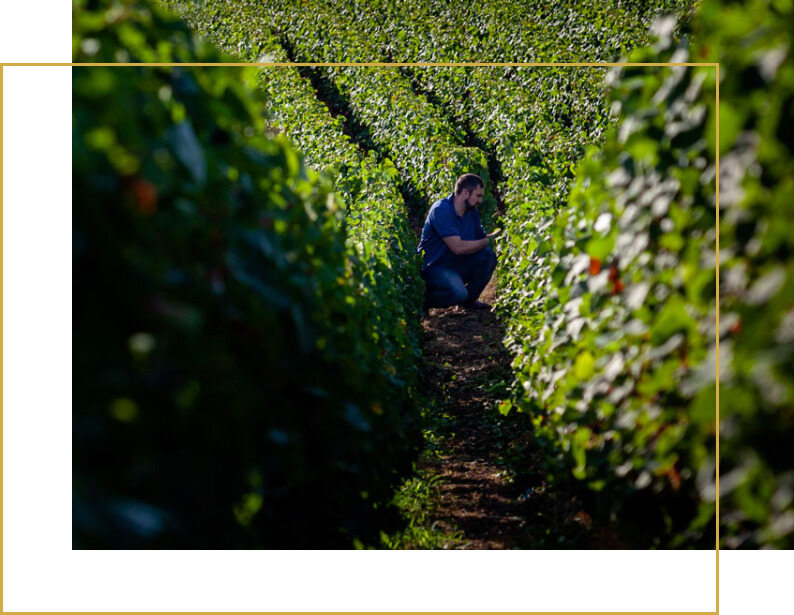 It is the home of the brand, the core of the entity, and what this generous and identity Blanc de Noirs stands for. It is the true reflection of the terroir of this “Premier Cru” in Montagne de Reims. This is the jigsaw puzzle completed, the union of two families making a whole and who celebrate, with this rosé, all festive occasions. A rosé from the Prévost-Hannoteaux terroir which, by making Pinot and Meunier meet, together with Coteaux Champenois and Champagne, create a delightful explosion of fruits! 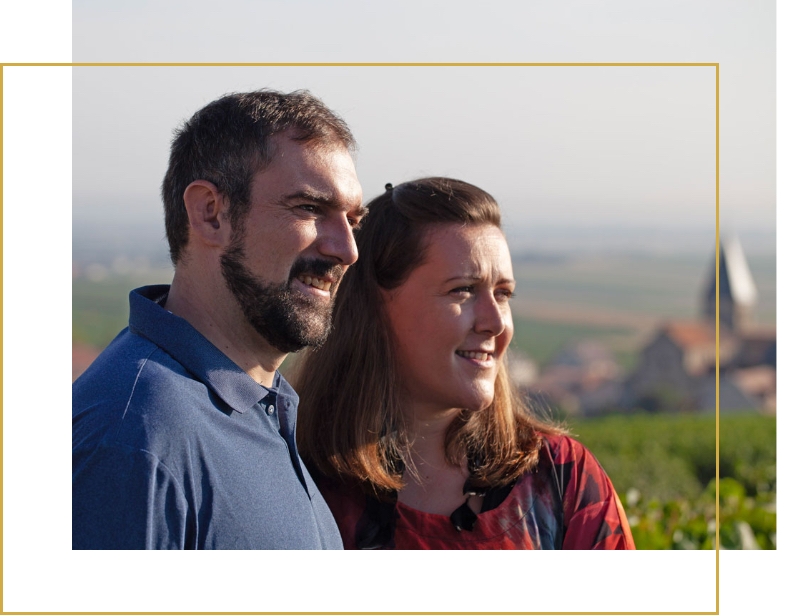 At Sacy, great and little moments alike build a unique life where joy, generosity and family happen around Champagne Prévost-Hannoteaux. This Blanc de Blancs is the favourite cuvee of David; he likes its fine and delicate spirit, biscuity and floral... It perfectly summarizes the gentleness and sweetness of the House. A nice nod to Catherine, who knows this white grape variety well... A gourmet and elegant cuvee that you can open for all occasions, or just for fun! In “trentenaire” in cinnamon colour. Also available in magnum. At champagne Prévost-Hannoteaux, the Vintage is, by definition, a memorable year. Elegant & refined, it testifies to the aromas of Vintage Pinot Noir and Chardonnay for the elegance. To be invited for great times that you want to celebrate and remember for long! The unforgotten, the cuvee in tribute to Madeleine, the soul of the House. The blending of two grape-varieties aged in barrel that is rendered easy and delicious. To be enjoyed for meals and aperitif, to taste the style of the House in a remarkable originality. In Ocarina bottle with cinnamon colour. Catherine and David come together on their hardworking, social and generous temperament.